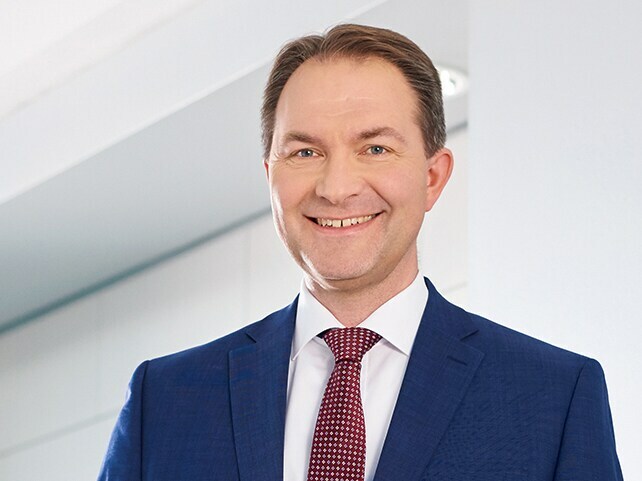 Dr. Ralf Kuschnereit was born in 1968. He studied physics at the University of Bonn. Subsequently he received his PhD at the University of Heidelberg in physical chemistry and obtained a Master of Business Administration at the University of Heidelberg and Katz Graduate School of Business in Pittsburgh, PA.
Dr. Ralf Kuschnereit has extensive management experience in various roles. He started his professional career as a group technologist in the field of photolithography development and most recently held the role of head of the Ophthalmological Systems business unit and President & CEO of Carl Zeiss Meditec Inc. in Dublin, USA. In July 2017, Dr. Ralf Kuschnereit joined Jenoptik. He is responsible for the Light & Optics division and is a member of the Executive Management Committee for the Jenoptik Group.